Purees imbue your cocktails with an illustrious fresh pear flavor and fragrance. Puree recipes are as versatile as pear varieties, so here are a few tips to help you create your own! Peel and core a ripe USA Pear of your choice. Cut into chunks and puree in a food processor or blender until smooth. If desired, the skin may be left on the pear, which will provide vibrant flecks of color in your fresh puree. A splash of lemon juice will help prevent your puree from browning. 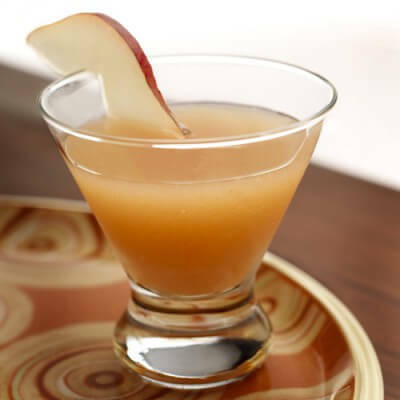 Spice up purees (literally) by poaching your fresh USA Pears in a flavorful poaching liquid before pureeing. Pears can be poached in red and white wine, fruit juice, beer, sake, coconut milk, and more. You can even add some spice to your poaching liquid, like cloves, cinnamon, salt, black pepper, vanilla bean, orange zest, nutmeg, cardamom… you get the picture! Peel pears, leaving stem and core intact. Heat poaching liquid over medium until it starts to simmer. Reduce heat to low and continue simmering while fully immersing pears into the poaching liquid. Simmer until pears are soft and easily pierced with a fork, 5 – 15 minutes depending on the size of the pear. Remove pears from liquid and let cool. 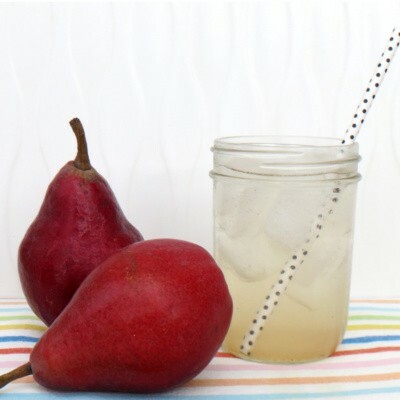 Core pears, remove stems, cut into chunks, and puree in a food processor or blender until smooth.